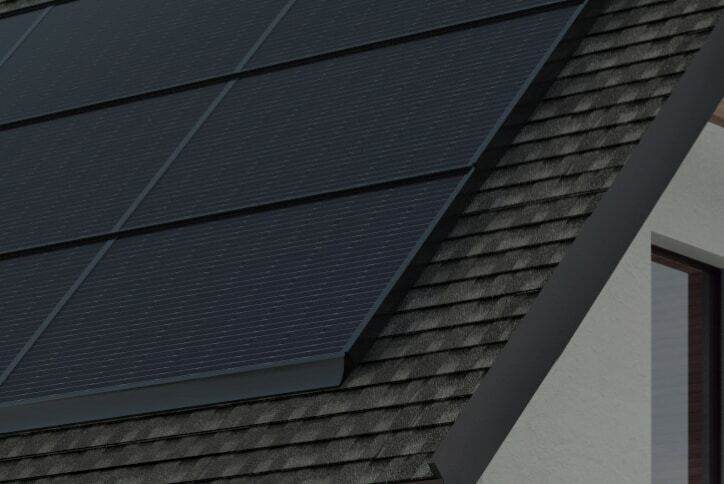 There’s plenty going on in the world of solar roof tiles this year – today we’re going to take a look at the Monier SolarTile, which is a competing against the Tesla Solar Roof and the sonnen/Bristile Roofing Solartile. 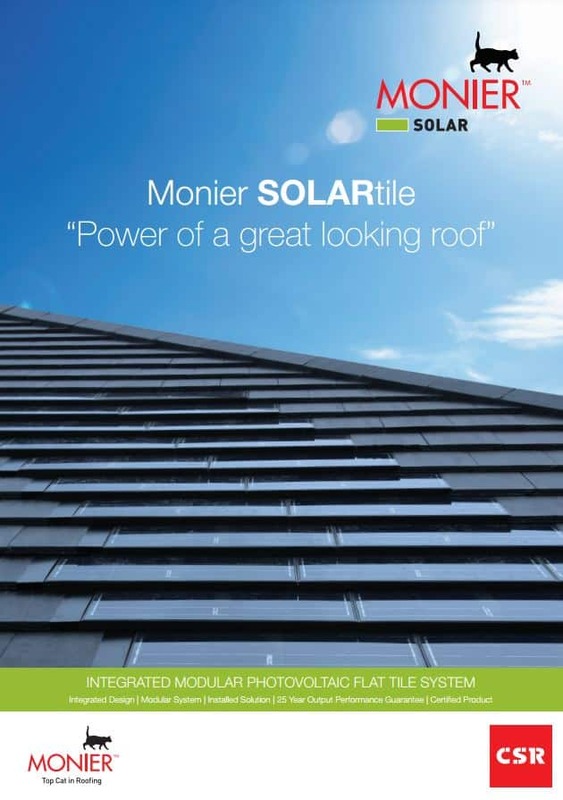 The Monier SOLARTile is an integrated modular photovoltaic flat tile system. They integrate with a flat profiled roof so they won’t ruin the view of your house – and can be installed on all types of roofs (including traditional and period style homes). If you’d prefer, you can retrofit them for a re-roof, extension, or home renovation. Their modular design means that you can install them in any configuration – including smaller sections of your roof (generally north facing) to reach optimal energy production. Since they have an integrated design (as opposed to conventional ‘bolt-on’ solar panels, the SOLARtiles will blend into a roofline smoothly. Monier were a finalist in the Clean Energy Council’s ‘Solar Designs & Installations Awards’ in 2013 for this product – they were also a finalist in BPN’s Sustainability Awards in 2013. The company is backed by CSR, one of Australia and New Zealand’s biggest building product companies. Available? – Available in Australia right now! Grid? – Must be grid connected. Upgradeable? – Yes – provided your inverter has the capacity. Warranty? 25 Year Performance Guarantee – guaranteed to be working at 82.5% of original capacity in year 25. STCs? Monier can handle this for you or you’re welcome to sell them yourself. Installation? Licenced roofers and CEC accredited electricians. Available? 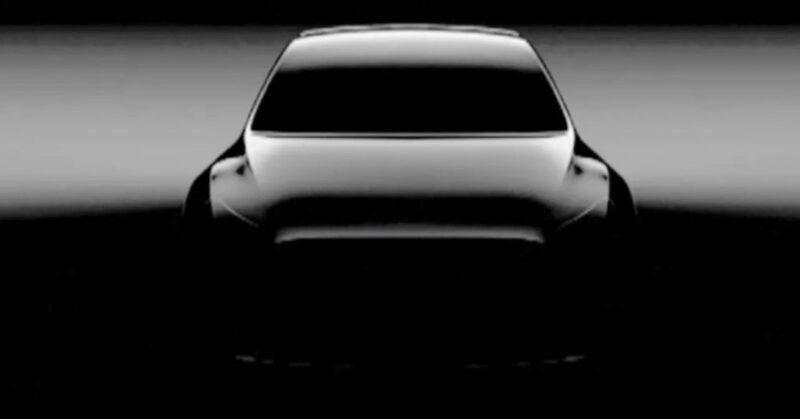 No – the Tesla Solar Roof release date in Australia should be sometime in 2018. Grid? 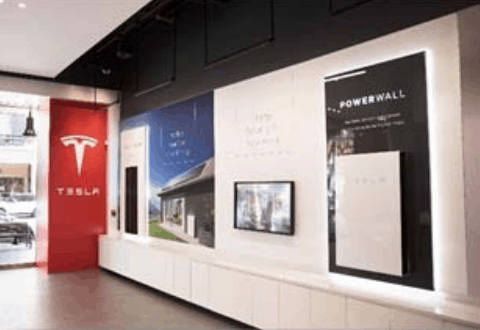 No official word as yet, but these should integrate with Tesla Powerwall 2 batteries to offer an off-grid solution. Upgradeable? Yes, can replace Tesla ‘non solar’ tiles (a Tesla roof will generally have around 40% solar generating tiles) with solar tiles. Warranty? “Infinite”, according to Elon Musk, but this only applies to the glass the tiles are made from, not their ability to produce electricity or actually function as a roof. 30 year warranty for those. We’ve reached out to Monier for some more information about the Solartile and will update this article as soon as we have more. In the meantime, if you want solar tiles on your roof and don’t want to wait, it remains a great product backed by an Australian giant! If you have any experience with the Monier SOLARtile we’d love to hear about it – please leave your thoughts in the comments!